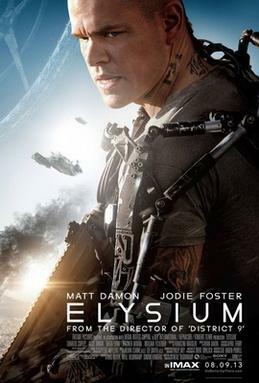 I was lucky to go to the cinema this week and as usual in the few opportunities I have, I watched a science fiction film: Elysium. Maybe it is not a trendsetter film but I kept me enjoying the action for almost two hours. It mixes some science fiction topics that appear credible with a lot of action and social drama. Anyway, this is not a cinema blog and I am not more than a science fiction lover in different formats. The topic for me is: Was climate change present in the plot? Not explicitly. It was not mentioned in any moment. However the Earth was a nightmare in the 2154, as in many other cases, a hot nightmare in this case, with a LA suburb that could be identified with any big African suburb nowadays. Meanwhile the few rich were living in a space station that seemed a giant holiday resort, no place in the planet seemed secure enough for them. So climate change is compatible with the disaster Earth shown in the film.